The gold standard for the best local hot spots around Salt Lake City. Utah Stories readers and contributors have carefully selected our favorite local spots for restaurants, goods and services. You can trust this guide to find the best of local Utah. When specified, the top three reader favorites are ranked and placed in order. When not specified, the order is incidental. Using all the best local ingredients, a foodies delight! Excellent food and service in a casual, modern cafe setting. Long searching for the best phili cheese steak in SLC — Joni’s wins, without dispute. Sorry Food Network, but you have missed the true champion. Huge and delicious $10 sandwiches. Share with a friend or satisfy even the largest appetite. Grove’s has been around for over 60 years. Huge selection of hot sauce. Mmmm– A grinder day, is a good day. 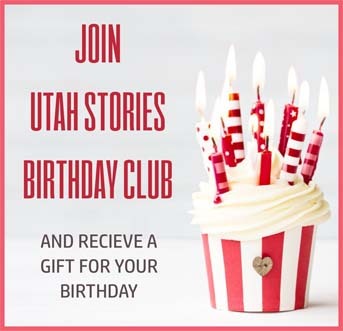 A Utah Stories reader favorite! New Asian cuisine at its best! Fresh and delicious. Fantastic, authentic Thai. A local favorite. SLC’s best kept secret for incredible Mexican! You’ll like the food and the price! 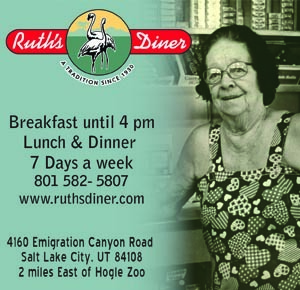 Get to know Ruth–great food and a cozy setting. A Utah gem. Winner of dozens of culinary awards. Fine dining overlooking the best ski resort in the world. To die for authentic French pastries! Sixteen gourmet flavors of cookie dough, sold baked or by the frozen dozen. Salt Lake City’s first artisan micro-roaster and siphon bar. Celebrating 10 years of business! Local 9th & 9th hangout-try their pastries! Beautiful garden and excellent dining. Great coffee; great bike stop on Broadway. Fresh juice bar, in-house roasted coffee. Get it to go after taking your dog to Tanner Park. Great service. Beautiful ladies serving food and coffee. Great European style crepes and specialty drinks. Bob offers the best ambiance! A great showcase for local musicians and established bands. Dueling pianos and social club. Old, classic, and retro toys. A 50 plus year Broadway shop. A great place to shop for your kids. Smart, fun toys. They really won’t jerk you around. Ken knows Utah–find the best Utah books here. Simply the best bookstore in Utah–if everyone bought their books here, we would all be smarter. The best there is for fasteners. Get great hardware and gifts. Get a great adventure for an excellent price.